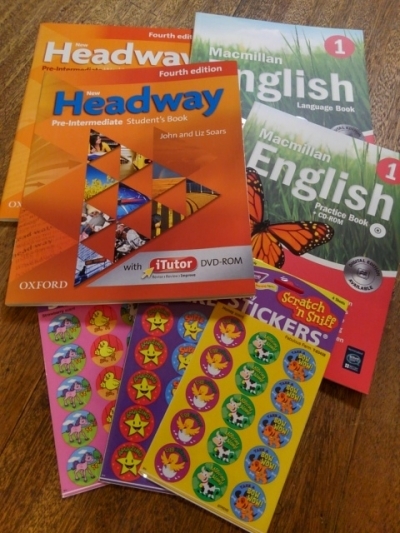 We received these from our favourite textbook supplier, englishbooks.jp. We've finally migrated to the New Headway series, so pictures and language will be a bit more relevant to 2016! No more clunky mobile phone pictures or listening to telephone switchboard conversations! Already enjoying using the text in my classes. Also received the Macmillan English Book 1 sporting a new cover and a few packs of stinky reward stickers. Already feeling highly satisfied with the staff at englishbooks.jp on Friday a Sales Rep stopped by to say hello and ask how things were! Pretty fantastic was all I could answer. I'm pleased to announce that I'll be taking part in the Sixth Story Forest Waka-Waku Camp to be held at Okubo Library on December 4th, 2016. It's the first time for me to either attend or take part in this event so I really don't know what to expect. I've been asked to co-read a book, one of us will read it in English (me) and the other will read it in Japanese. Sounds different? Apparently they've done the same thing with reading books in Japanese and Korean, and this year thought they'd give English a try. As I say I know very little about the event at the moment, but just looking at the flyer it looks like it may be quite interesting. The book reading takes place in tents and teepees! And the children move from tent to tent collecting stamps. Looking forward to it and hope to see you there! 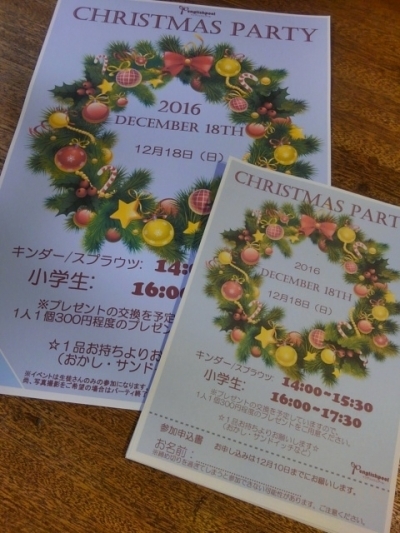 We will hold our annual Christmas Party on Sunday, 18th December this year. 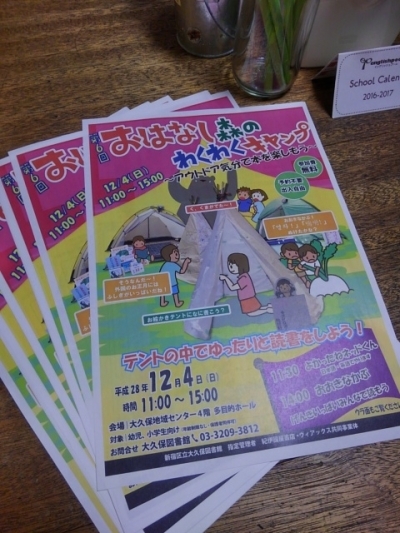 Posters and 'chirashi' are already made and printed and will be going out to all our students this week. I can't quite believe that I am so organised this year, as I usually leave everything to the last minute! But as some of the mother's have already been asking when the party is I thought I'd get busy!! I am a firm believer that the secret to language learning is to be able to ask questions. The more questions you can ask in the target language the quicker you will learn. With this in mind, I make sure that in all our lessons the students gain confidence in asking questions. 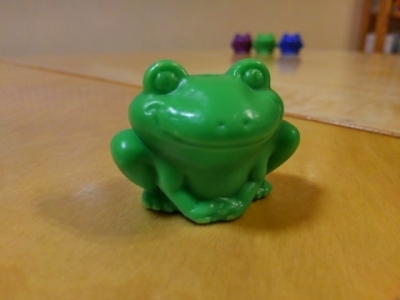 Take today in our Elementary B class, I put this rather childish green plastic frog in the centre of the table and asked the children to think of a question, expecting them to ask 'What is it?' or 'What is this?' or 'What colour is it?' or 'How many frogs?' etc. as they are patterns we have been practising over the past couple of months and I've these frogs to elicit those kind of questions. Imagine my surprise when the first question that came to their minds was 'What's your name?' followed by 'What sports do you like?' as if they were interviewing the frog!!! After many giggles we decided to call him 'Little Green Froggy'. 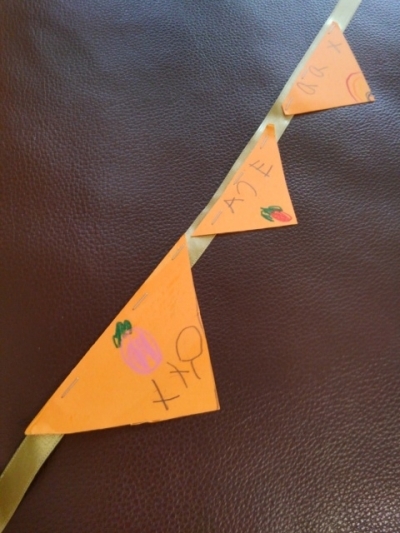 One of the pleasures of teaching young children is that sometimes you receive handmade gifts, such as this swag of Halloween bunting from Little Miss I in our Kinder class. I'm a real sucker for these handmade items and tend to keep hold of them for years, as I really appreciate the thought and effort that went into making them. Over the years I've amassed a collection of hand written thank you notes, hand drawn pictures and handmade crafts that I can't seem to part with. By the way that's the second time in my life that I've used 'swag of bunting' to refer to a length of bunting. Apparently 'swag' is the correct term! 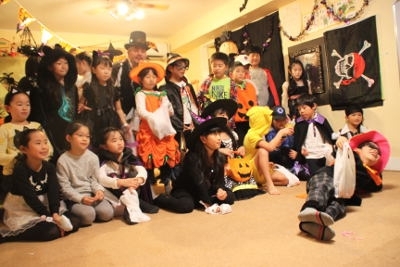 A big thank you to all those who attended the Halloween Parties on Sunday. We think everybody had a lot of fun, and the assistants and myself certainly had fun hosting the parties. I have a stack of photographs taken on the day that I'll be sorting out over the next week or so, but in the meantime here's a photo taken at the end of the Elementary party to keep you going! 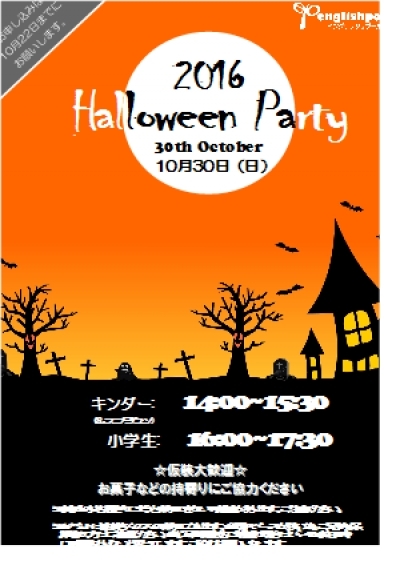 This coming Sunday, October 30th, we will be holding our annual Halloween Party for englishpool students. As usual we'll have a selection of games and activities all with a Halloween theme. I'm busy at the moment putting the finishing touches to some of the ideas, and also need to cover the pinatas before they get smashed up on Sunday! Look forward to seeing what our students have chosen to wear as Halloween costumes. Which character will be the most popular this year? Will bring you an event report and pictures after the party. Welcome to the all new englishpool blog. After upgrading the website in early June we've been without a blog over the summer months. But as we rapidly approach Halloween and Christmas we usually have some photos and news to share so it's time to reinstate the blog element. P.S. If you want to see the previous 10 years(!!) of blog posts I've left them in an untouched form at http://englishpool.net/blog for English posts and at http://englishpool.net/jblog for Japanese posts.